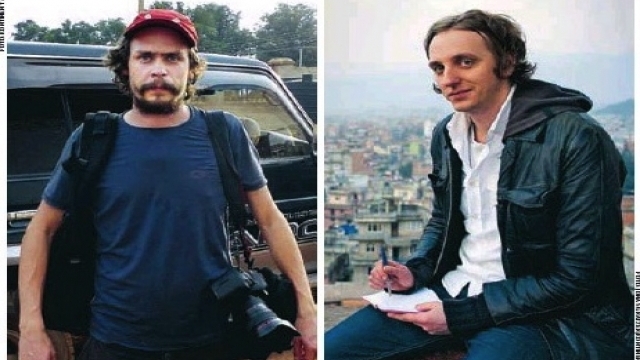 A European diplomat said this week that negotiations for the release of the two Swedish journalists - photographer Johan Persson and reporter Martin Schibbye - are near end. A senior European diplomat said Wednesday that negotiations for the release of two Swedish journalists imprisoned in Ethiopia are in the final stage. European member of parliament and former Belgian Foreign Minister Louis Michel expressed optimism that Swedish journalists Martin Schibbye and Johan Persson could be released within days. “I expect the solution will be found rather quickly, and I am rather optimistic about this issue,” Persson said. An Ethiopian court last December convicted the two men of entering the country illegally and supporting a rebel group the government has classified as a terrorist organization. Michel said he was in productive discussions about the pair’s release with Ethiopian Prime Minister Meles Zenawi. The veteran diplomat said he was encouraged by a meeting Mr. Meles had with Sweden’s Prime Minister Fredrik Reinfeldt in London last week on the sidelines of an international conference on Somalia. Michel said he was allowed a private visit on Wednesday with the two journalists at the Addis Ababa prison where they are serving their sentences. He said he was impressed by the prisoners’ condition and with their remorse. “Those two journalists first of all said to me that they made a very big mistake and were regretting to have done so, that they were ready to apologize and to promise not to repeat this mistake and learning lessons from this bad experience,” said Michel. After their conviction and sentencing, Schibbye and Persson declined to file an appeal, saying they would ask for clemency. The pair were arrested last June in Ethiopia’s Somali region, while traveling with rebels of the outlawed Ogaden National Liberation Front. During the trial, the pair admitted entering Ethiopia illegally from Somalia, but denied supporting the rebels. They told the court they were investigating a Swedish oil firm with ties to the country’s Foreign Minister Carl Bildt. The company was alleged to have hired as guards former Ethiopian soldiers who are accused of human rights violations in the Ogaden. Click here to read more news at VOANews.com.